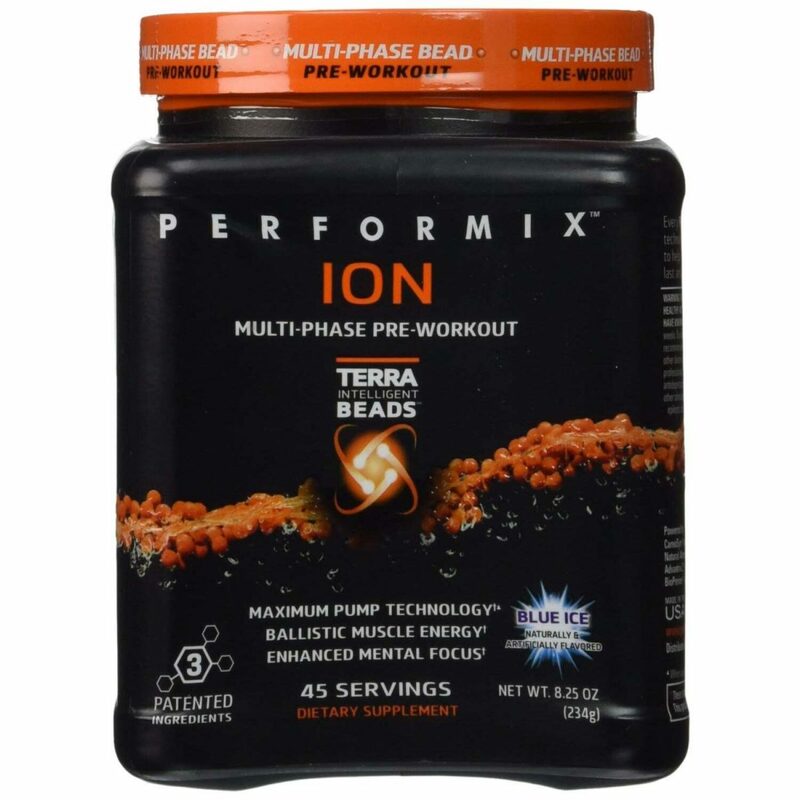 If you find yourself having trouble getting through workouts and achieving your fitness goals, ION Multi-Phase Pre-Workout Powder will transform your experience at the gym. When taken before a workout, ION gives you a noticeable surge of energy, increases your stamina, and works in phases to make sure your body gets the boost it needs at the beginning, middle, and end of your workout*. ION’s unique composition allows it to strengthen your muscles, increase your metabolism, increase your body’s absorption of healthy nutrients, and give you more energy at the gym and for the rest of the day*. Even after your workout, ION keeps working to help your body build muscle and burn fat*. Working out with the help of ION helps you feel like a million bucks and will make you keep on wanting to go back to the gym for more. Performix ION uses a groundbreaking Multi-Phase Bead nutrient delivery system to send critical performance-enhancing compounds to your muscles and central nervous system. ION’s Terra Intelligent Beats allow for an extended release of ingredients during different phases of your workout. Unlike any other pre-workout supplement on the market, ION gives you a second wind in the middle of your workout by providing your body with the rust of catabolic and metabolic stimulants it needs. ION comes in two delicious flavors: Ice Punch and Blue Ice, each of which is sweet and refreshing. 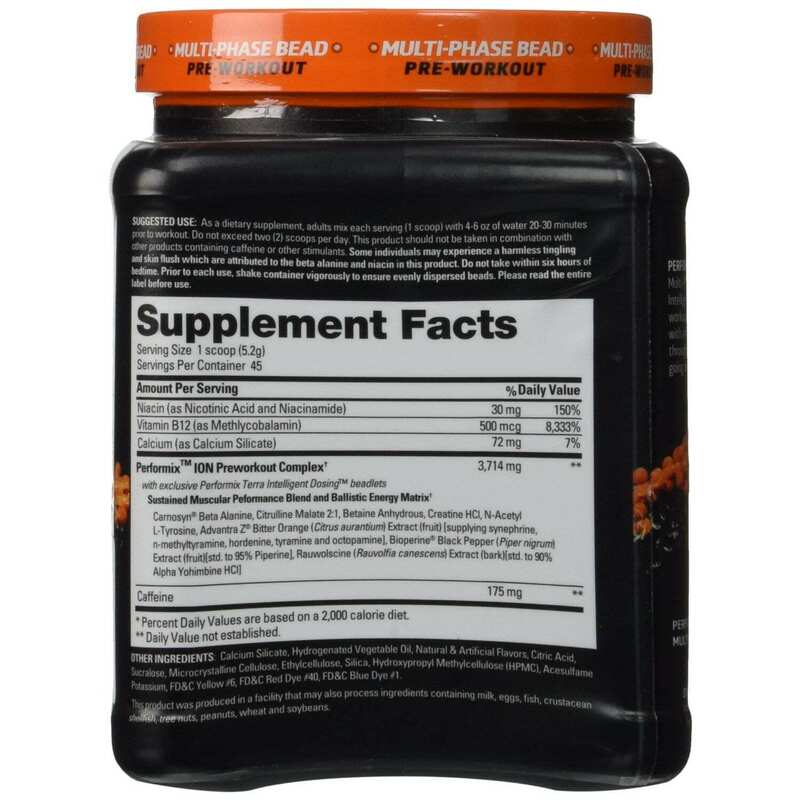 It is best to take this supplement 20 to 30 minutes before a workout. The first time you take this product, it is also recommended that you start out with one serving (or scoop) of the powder. All you have to do is mix the scoop with 8 oz of water and drink up. ION will take care of the rest and get your body ready to work out like it never has before. Once you have been taking ION for a while, you can up the amount you take to get the right amount of support you want, depending on the intensity of your workouts. CarnoSyn® is a compound created by Performix to aid in carnosine synthesis. It increases the amount of carnosine in your muscles, making them perform better and recover faster*. BIOPERINE® is a compound created by Performix that dramatically increases the absorption and bioavailability of ION’s nutrient system*. Advantra Z® (also known as bitter orange) is a compound Performix invented to help your body break down fats faster and increase your metabolism without affecting your heart rate*. B-12 is your central nervous system’s premier vitamin. 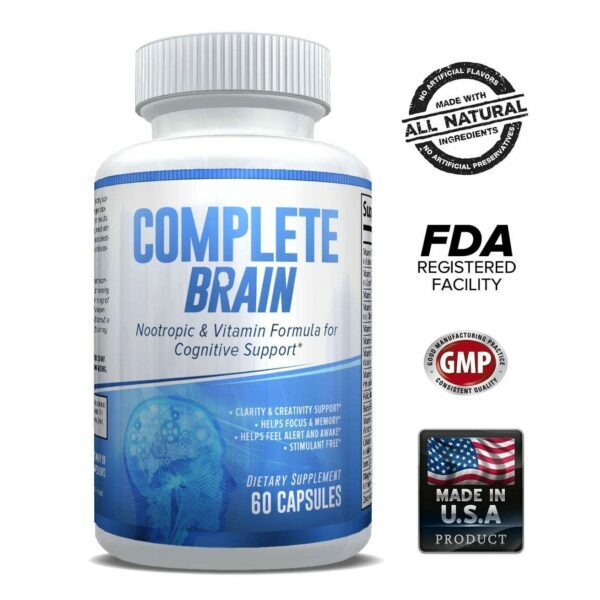 It keeps your brain working efficiency and helps your body create a healthy amount of red blood cells. It also boosts energy*. Niacin is a useful B vitamin that works with B-12 to keep your energy levels stable. It also lowers cholesterol and triglycerides in your body*. Black pepper’s “piperine,” one of its key components, helps enhance your body’s absorption of ION’s key ingredients. Piperine has been used as an additive in supplements to increase their efficacy for decades*. Betaine Anhydrous is a natural compound you can find in foods like spinach, seafood, and beets. It helps promote greater athletic endurance, and it speeds up the breakdown of fats in your body*. Rauwolscine is a gentle central nervous system stimulant that keeps you alert and focused on achieving your exercise goals. It has also been found to promote weight loss*. Will my heart rate increase while taking this supplement and exercising? Any time you exercise, your heart rate increases, which is good for your body and for your waistline. The ingredients in ION should not elevate your heart rate to unsafe or uncomfortable levels while you exercise*. When will this supplement start working? It should start working 15 to 20 minutes after you take it. Every person’s body composition differs slightly, and it could start working in as soon as 10 minutes, or it might take up to around 30 minutes to get going in your body. Will ION increase how much I sweat? You will most likely find that you work out harder while taking ION, which means you sweat more. You should not expect to sweat excessively, though. Are there side effects from taking ION? Most people who take ION do not notice any side effects except increased energy and stamina. If you notice any physical side effects that are out of the ordinary, discontinue use and consult a physician. Is ION safe for pregnant women? 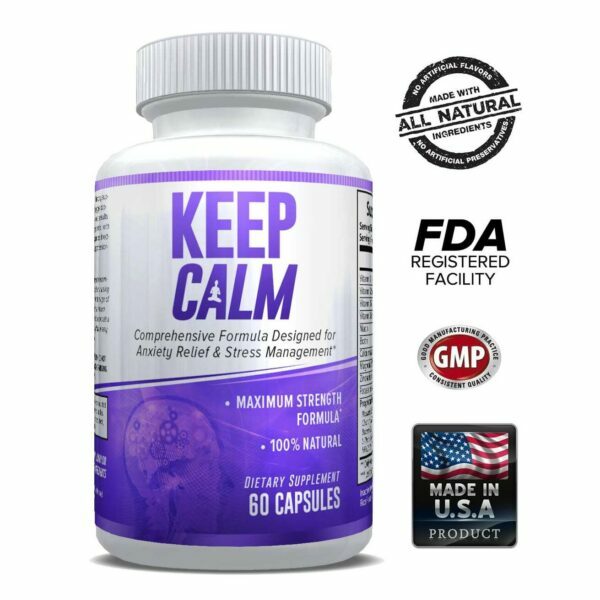 No research has been done on the safety of this supplement for pregnant women. Pregnant women should avoid taking ION until they have spoken with their doctor about it. How many hours’ worth of energy will ION give me? ION should start wearing off after around two hours. You will not experience a crash when this happens, and your energy levels should return to normal without much notice. Keep in mind that some of the muscle building and fat burning ingredients in ION will keep working for several hours after you take the supplement, but most of its noticeable effects will wear off after a couple of hours. Am I going to able to do more reps at the gym while taking ION? Most likely! ION increases your energy and athletic endurance*. You should notice a difference in both your motivation levels and agility at the gym. Am I going to lose weight while taking this supplement? If you combine taking ION with increased time working out and healthy eating habits, you will certainly burn fat. Just keep in mind that you will also probably gain muscle mass. Either way, you will look at feel great after continued use and workout sessions.